Are you a fan of scented candles or wax melts that fill your home with wondrous and delicious fragrances? Then like me I’m sure you have your favourite brands and aromas. Unfortunately our patronage can often be tinged with sadness when a favourite scent is retired. I was personally heartbroken when Yankee Candle retired Gingerbread and I recently learned that Salted Caramel is on the way out too!! Aside from stocking up, there is a way you can console yourself and still enjoy your favourite fragrance or one very similar for as long as you want too. 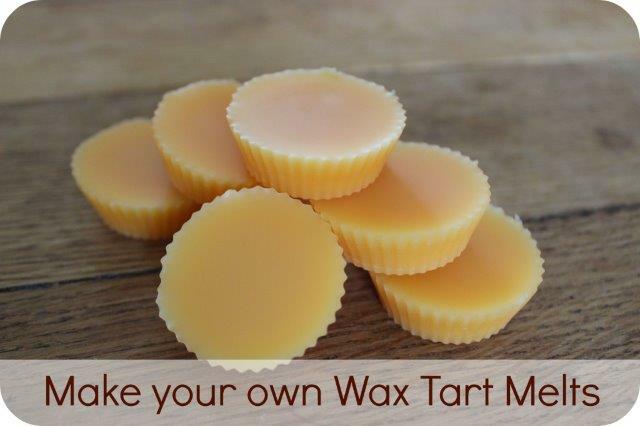 Rather than bankrupting yourself in candles stocks, why not make your own wax tart melts? 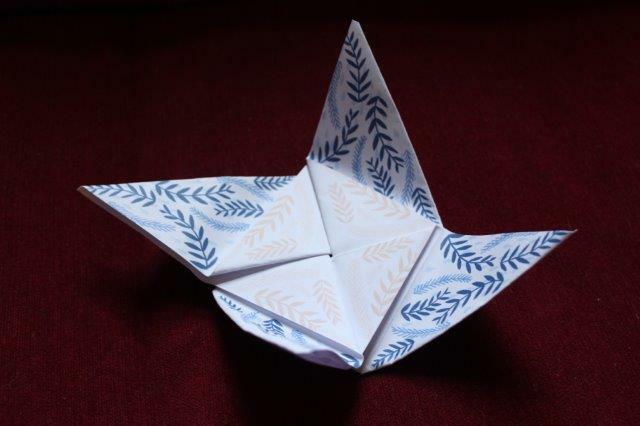 The best part about this tutorial is that it’s unbelievably simple!! First a quick note on wax choices. These melts can be made with several types of wax, however different varieties can take more or less fragrance. I am by no means an expert but here’s a mini rundown of three popular wax choices. Paraffin Wax – this wax creates the most highly scented melts and gives a good even throw. However when used in a candle (so not relevant to this tutorial) it produces more soot and some people believe that paraffin wax is not eco-friendly. 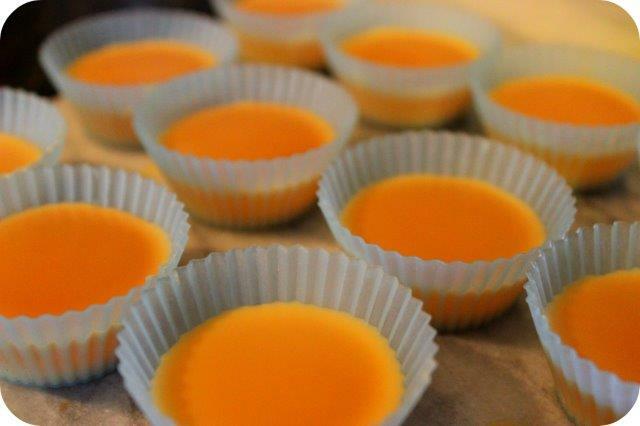 Beeswax – the classic wax option (and what I used myself when making these tarts). Beeswax is the all-natural choice. Soy Wax – Made from the oil of soy beans many people believe this to be a more eco-friendly choice. However it cannot be used to make such a highly scented tart. A great choice if you prefer a more gentle fragrance. Weigh your wax. I used 100g but of course you could scale this up if you wanted to make loads of tarts. 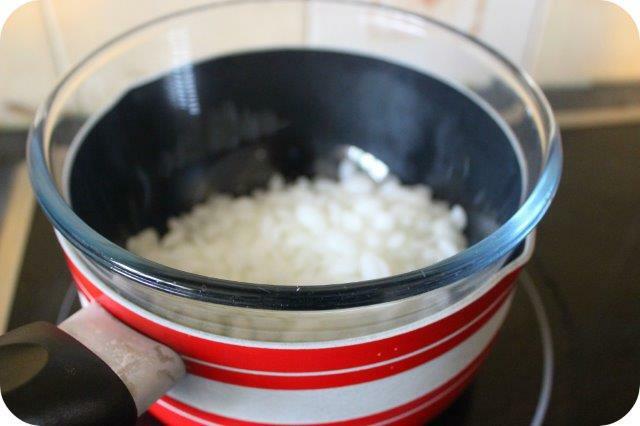 Next melt the wax using a double boiler or a pan or bowl above a second pan half filled with boiling water (the same method as melting chocolate). Keep the water simmering and wait for your wax to melt, I do not suggest leaving the room as wax can be flammable. Now to add your fragrance. How much oil depends on how strong you would like the end result to be. To give you an idea, many standard shop bought candles contain 2-3% fragrance. Good scented candles contain 5-6% and strong candles (like Yankee Candle) contain approximately 8-10%. I don’t have a fantastic sense of smell so I like my fragrances strong and unmissable. 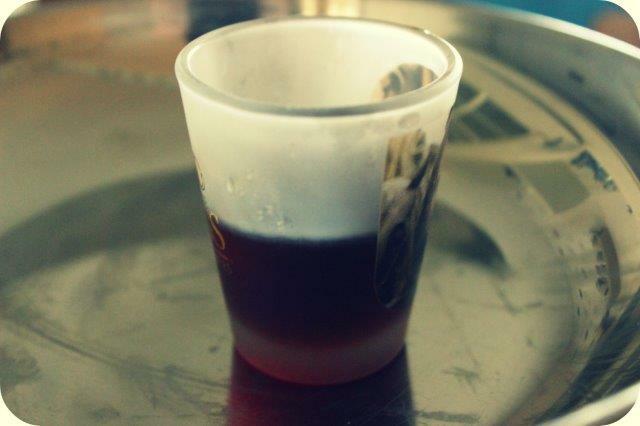 Therefore I used about 10g of fragrance oil. To weigh this I used an old shot glass. Add to the melted wax and stir. 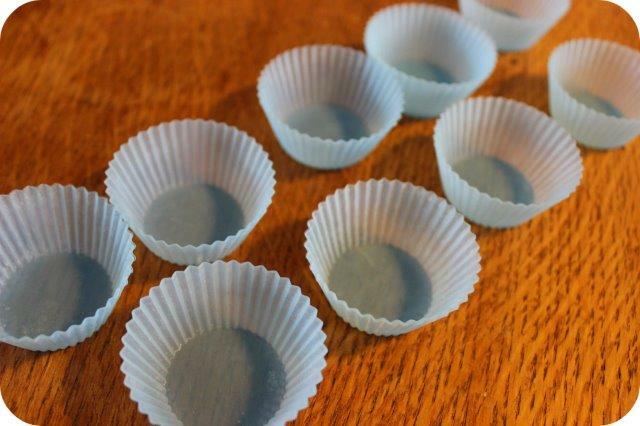 Pour the wax into silicone cupcake cases. I don’t like my tarts to be too big so I used mini cupcake cases. Larger ones would obviously make thinner tarts or less overall. Leave to cool and then store in a lidded jar or tub. An old metal ice cream scoop works brilliantly for decanting your wax into your cases. Don’t plan on using it for ice cream again though. These tarts also make wonderful presents, just wrap them tightly in cling film. Wax is flammable, never leave a melting tart or wax unattended. 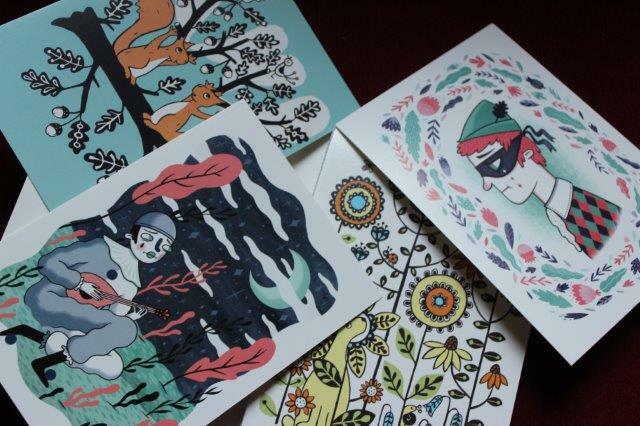 I was recently introduced to the world of Bonbi Forest, an exquisite website which showcases the artwork and designs of Lee May Foster-Wilson. Today I’m going to show you a couple of her pieces that I absolutely adore! I’ll be the first to admit that I have a complete weakness for lockets, the idea that I can hide an image inside my jewellery holds endless appeal and consequently I own quite a few! Lee May’s City Lights Locket is beyond beautiful. 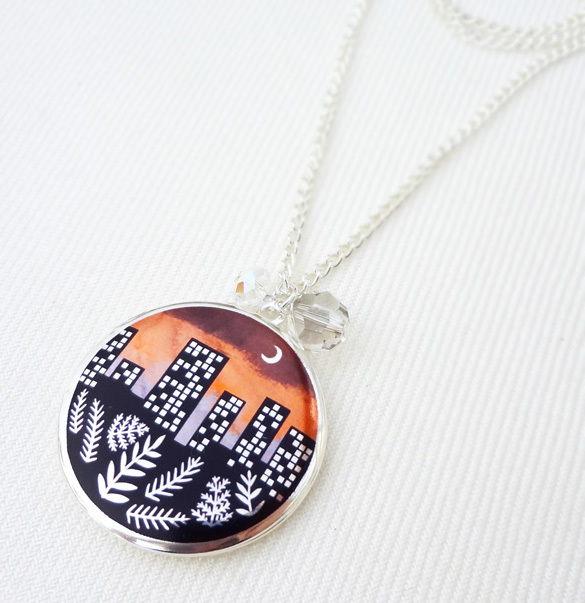 For a start the image adorning the front of the locket is nothing short of magical, perfectly capturing the twilight beauty that a city scape can exude. I found the catch on the locket a little difficult to open the first time but once I did I found two decent recesses inside the locket to house pictures. 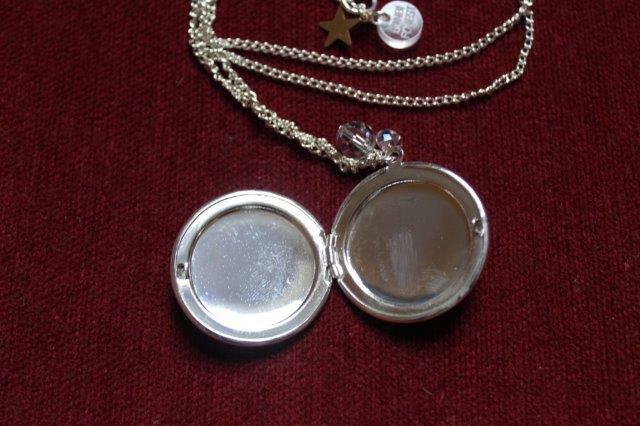 It’s worth noting that this locket has no framing abilities and you will need to secure your images against the metal. I chose the silver plated option although the locket and chain are also available in a gold tone. Above the locket hangs two sparkly Swarovski crystals and even the clasp holds a gold star and acrylic tag. The locket is truly gorgeous and priced at £19 I think it would make a thoughtful and reasonably priced gift. 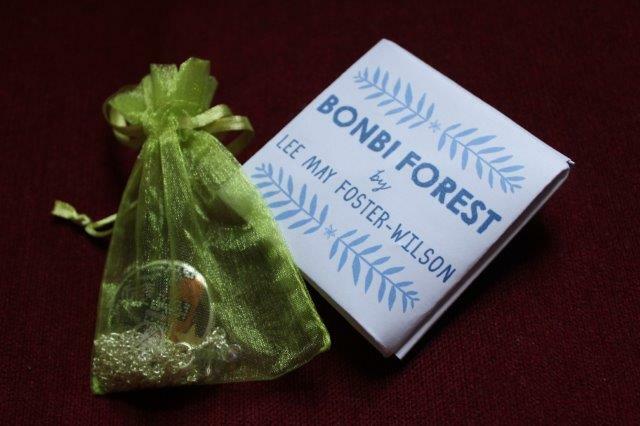 Not to mention the fact that the locket comes wrapped in an organza bag inside an ingenious origami packet, I actually made ‘ooh aww’ noises when I opened the parcel and that was just for the packaging! This is one of the most delightful collaborations of female artists that I have seen in a while. 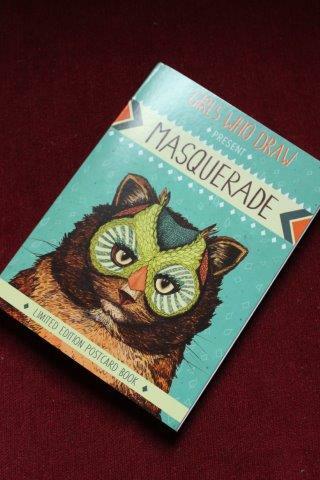 The 2013 ‘Girls Who Draw’ postcard book is a collection of 24 cards on the theme ‘Masquerade’ by 12 female illustrators, designers and artists. 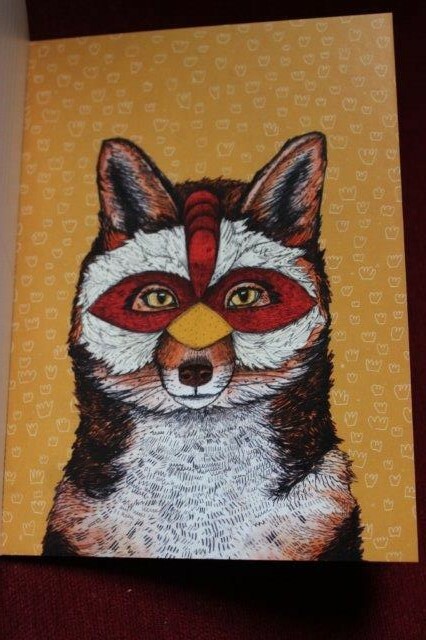 Each artist has interpreted this theme in their own unique way but they’re all a visual treat which is sure to delight any recipient. I was trying to decide if I had a favourite image but they are all so wonderful I really struggled. This amazing print from Sandra Dieckmann immediately captured my heart with its whimsical interpretation so beautifully executed. Far from treating these postcards as correspondence aids I think they’d look great mounted in a frame and hung on the wall. Other artists include Alys Paterson, Aurora Cacciapuoti, Beth Morrison, Helen Entwisle, Karoline Rerrie, Kate Sutton, Kristyna Baczynski, Lee May Foster-Wilson, Ruth Gree, Sandra Dieckmann, Arah Lippett and Yee Ting Kuit. When I was a small there was always something extra special about receiving a brand new watch. They looked beautiful, came in a case and made me feel so much more grown up than I really was. I was eager to pass on this tradition to my own children with the help of Tikkers watches. 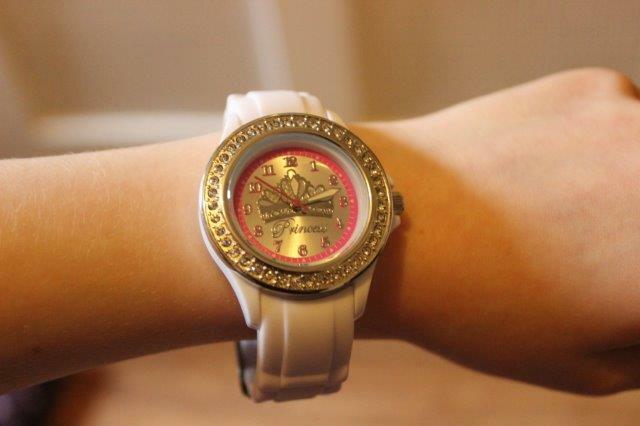 For my daughter I chose this extremely girly Tikkers white stone set tiara watch (no. TK0049 RRP £17.99). Covered in sparkly stones and emblazed with the word ‘Princess’ there’s no denying that this watch is the epitome of girly styling. Ordinarily I might choose a less saccharinely sweet design but this one actually resembles one of my own watches which my daughter adores. Plus you can never really have enough sparkles! From a practical point of view I was concerned that the rubber bracelet might be less durable than leather but so far it’s holding up very well. The rubber is also significantly more comfortable than a traditional strap. It is a little large on my daughter’s wrist but she assures me this is of no consequence. As my son leaves behind early childhood and enters the age of video games he needed a watch that better fits this transition, being ‘cool’ is of the upmost importance. 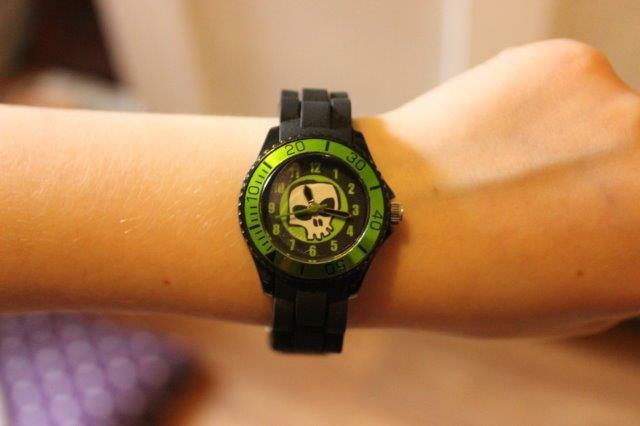 We found the answer in the Tikkers black skull watch (no. TK0047 RRP £14.99). Black and green colours make this watch bright enough to still be childish and yet cool enough to be a respectable piece of wrist jewellery. It also has the added bonus of being really easy to tell the time on. The watch strap is a little thinner than on my daughters and once again made from the same comfortable rubber material. It fits his wrist perfectly and he’s loved it since the day it arrived. Ever since we visited the National Space Centre my youngest has spoken of rockets, planets and space dinosaurs! That made the Tikkers Blue Rocket Ship (no. TK0045 RRP £14.99) the obvious choice for him. The colours are fabulously bright, the numbers are easy to read and it’s really encouraged him to learn to tell the time, you can’t really ask for more. As with the other watches the strap is made of rubber and fits his teeny wrist beautifully. Each of these watches came packaged inside a lovely plastic case with a 1 year warranty which I think makes them both a thoughtful and practical present. 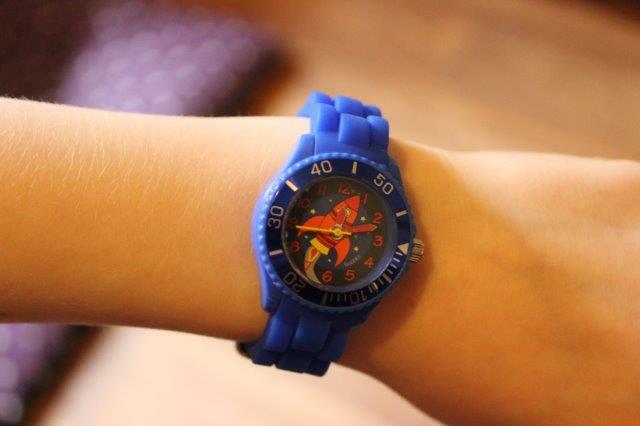 They’re comfortable and stylish which encourages kids to wear them and tell the time. I can’t comment on longevity as we have only had them a few weeks but I have no concerns as of yet in terms of durability. Tikkers watches are available at a huge number of retailers nationwide including John Lewis, H Samuel, Debenhams, Fenwick Newcastle and Bentalls Kingston. 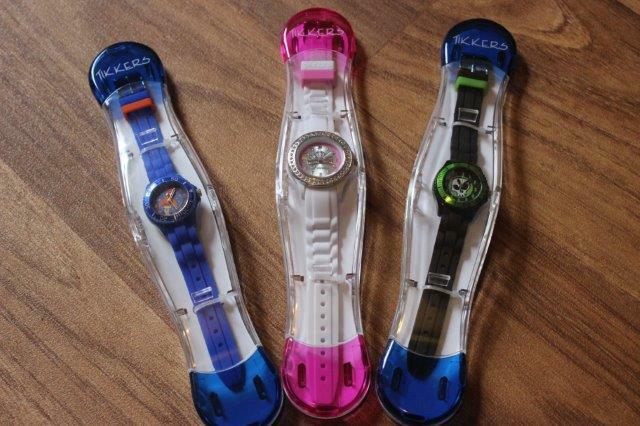 They can also be purchased online from Watchshop.com and watches2u.com.